If you love textures as much as I do, then you will love this square. It’s amazing how the different colors affect the outcome of the squares. Two of them remind me of fall leaves, while the white one reminds me of a winter snowflake. 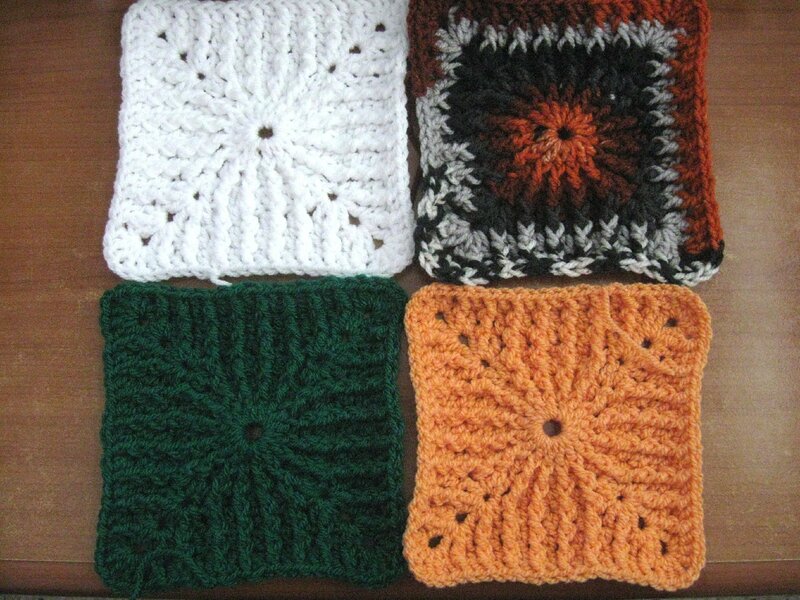 The pattern provides instructions on how to crochet this into an 8″ or a 6″ afghan square. Also, you’ll find lots of helpful pictures along with a left and right handed video tutorial. You can crochet them in any yarn and any hook suitable for the yarn.